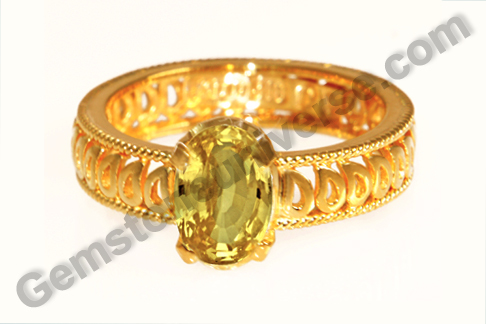 Comments Natural Yellow sapphire is a gem that exhibits a wide range of colors – from light butter yellow all the way to an irresistible vivid and golden canary yellow. Featured today is an exceptional gem – a cushion cut, natural, unheated Ceylon yellow sapphire of 3.15 carats set in 22 karat gold as a ladies yellow sapphire ring. The color and the clarity are two factors that make this gem really remarkable – this Ceylon yellow sapphire has a golden canary yellow color, the most coveted color in natural yellow sapphires. 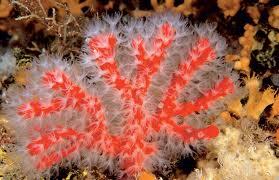 The clarity of the gem is also superb. 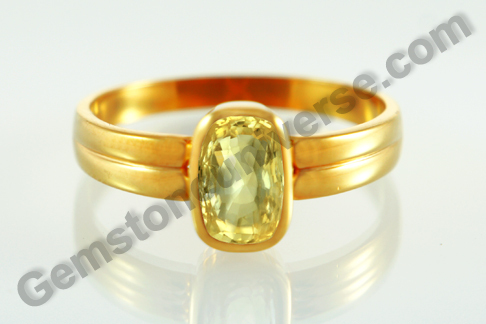 The premium attached to the golden canary yellow color is the primary reason why treated yellow sapphires are heat treated in the first place – a gem with this color is more in demand and would fetch a premium price! However, nature has its way of maintaining exclusivity and the gems naturally mined having such a lovely color devoid of any treatment whatsoever, are very rare and hence the premium attached to them. 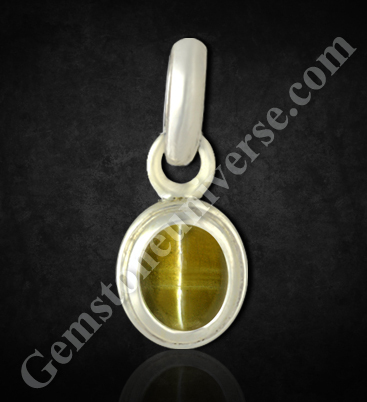 Yellow sapphire or Pukhraj is the gemstone of Planet Jupiter or Brihaspati/ Guru and a talisman made of natural yellow sapphire can be used to harness benevolent energies of this planet of wisdom, learning and truth. 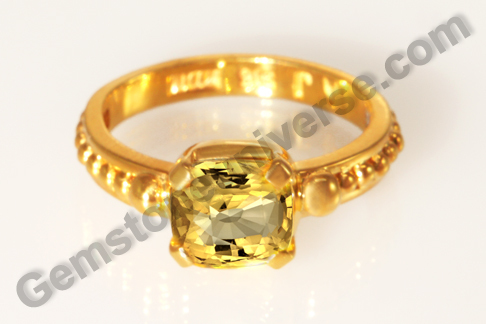 To view the yellow sapphire price and Inventory please click here. Comments The peculiar gem of the mystical planet Ketu – Chrysoberyl Cat’s eye for Moon’s South Node. 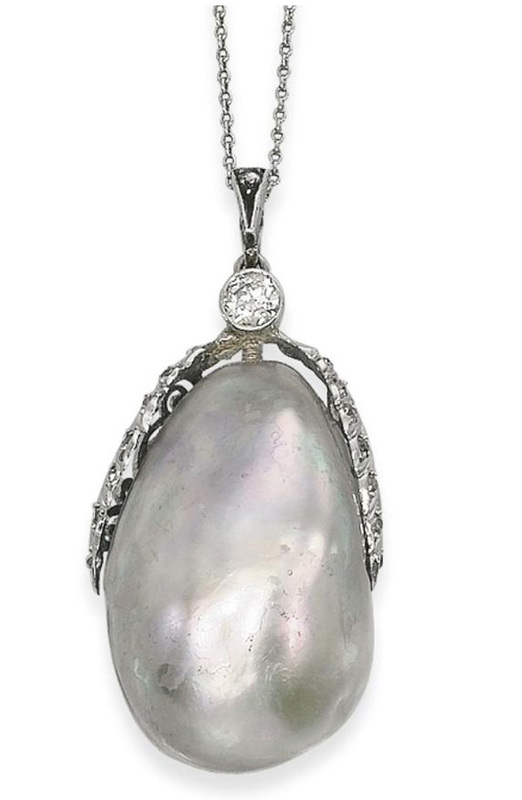 Featured today is a natural Srilankan chrysoberyl cat’s eye gem of 1.52 carats set in sterling silver as a cat’s eye pendant. This Chrysoberyl cat’s eye is honey gold in color with subtle tones of green. 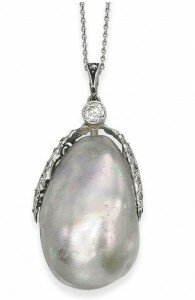 The oval cabochon has a vivid chatoyant band running across its length, giving the appearance akin to a cat’s (feline’s) eye, as light falls on it. It is a richly colored phenomenal gem with translucence, characteristic feature of a natural cat’s eye. 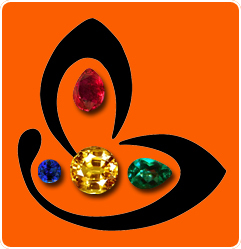 Cat’s eye or lehsunia or Vaidurya as it is alternatively known is the gemstone of Ketu. 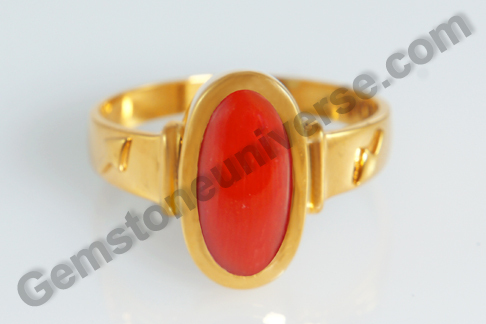 According to Vedic Astrology, the planet Ketu’s powerful energies can be harnessed by wearing a talisman made natural cat’s eye gem, duly consecrated and energized. 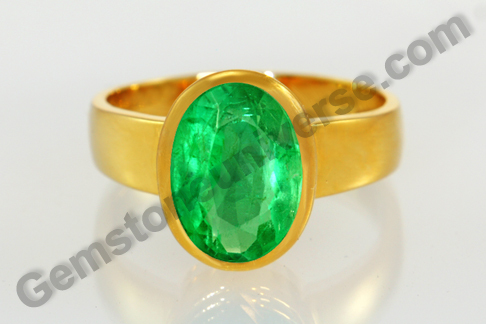 Comments Natural gemstones are a true miracle of nature, a one of a kind gift from Mother Nature. 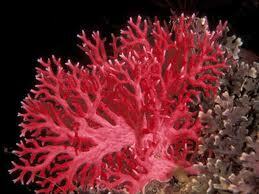 No wonder that a spectacular object, a unique individual or any other special thing is likened to a gem. 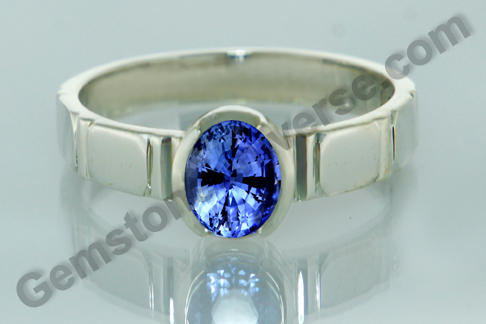 Featured today is a live wire oval shaped Natural Ceylon Blue Sapphire of 2.57 carats set in Sterling Silver as a men’s ring. The color of the gem is an intense sky blue and absolutely mesmerizing with its adamantine brilliance and lustre. 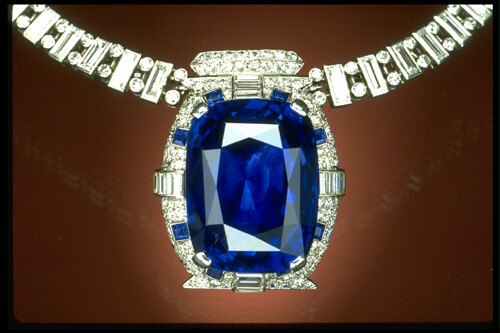 Blue Sapphire or the neelam gemstone is a gem dear to the Karmic planet Saturn / Shanidev. 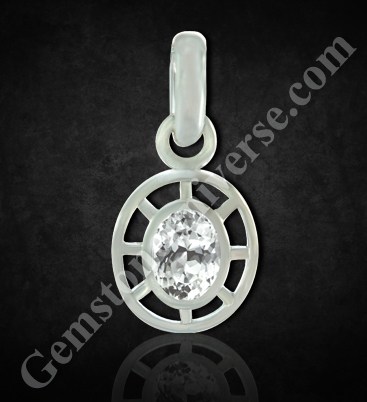 A talisman made with a saatvik jyotish grade blue sapphire is used to harness the energies of Saturn. Saturn placed well in one’s natal chart can bestow many benefits and blessings. 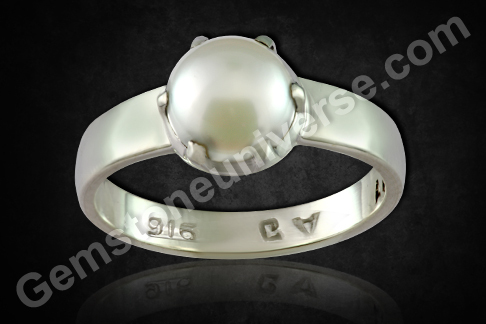 However, it would be a wise choice to get one’s birthchart / horoscope read for proper gemstone recommendations before wearing the gemstone. 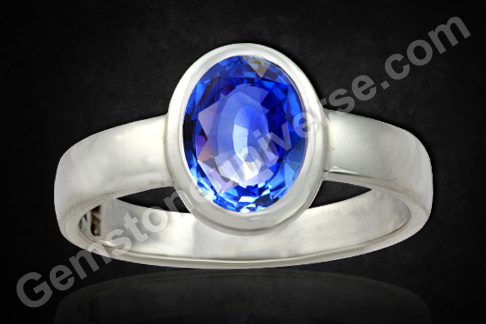 For gain of astrology related benefits from Blue Sapphire, this gemstone is worn in the middle finger. Such is the power of Blue Sapphire that it can make kings out of beggars and actually script the rags to riches stories.